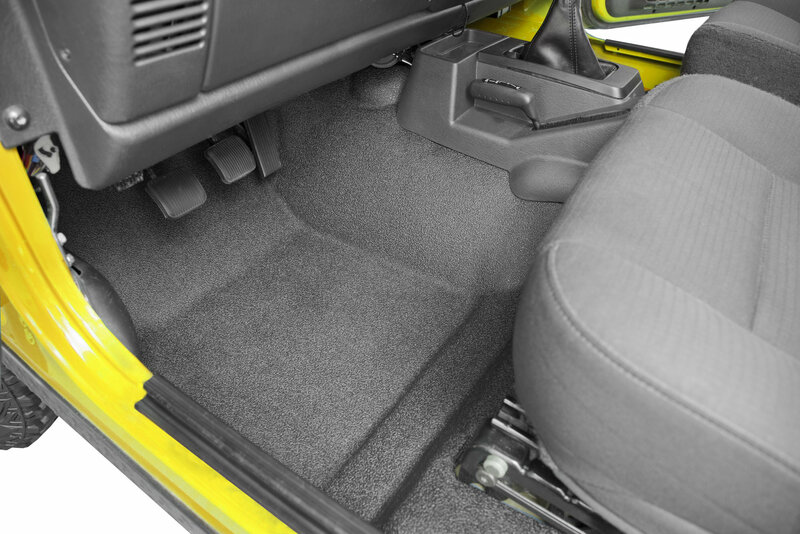 Looks and feels like high end spray in bed liner and is custom molded for a perfect fit; and we mean PERFECT! 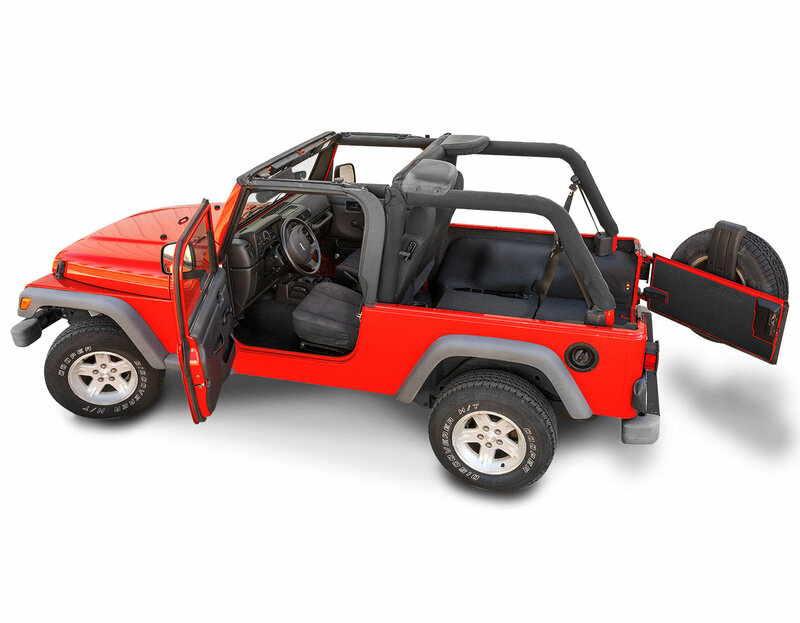 The full 7-piece custom molded liner system is easy to install and even easier to remove and hose off after a long day on the trail. 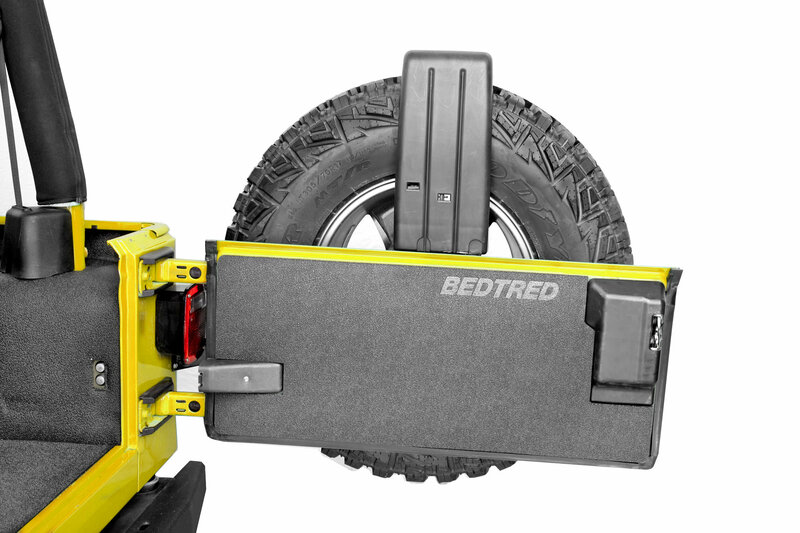 BedTred does not absorb water and will dry in as little as 20 minutes. It's resistant to harsh chemicals, such as bleach, oil, battery acid and gasoline and is both fade and UV resistant. 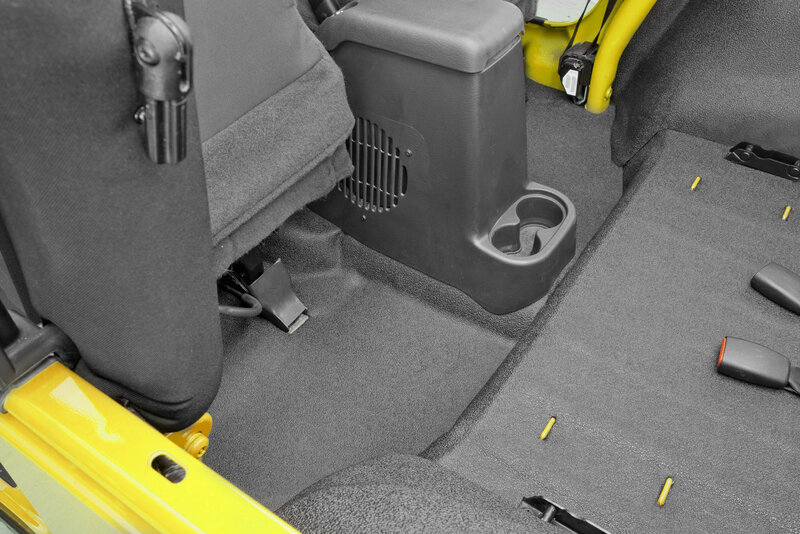 There's nothing to trim and there's no tools required to install or remove for cleaning. 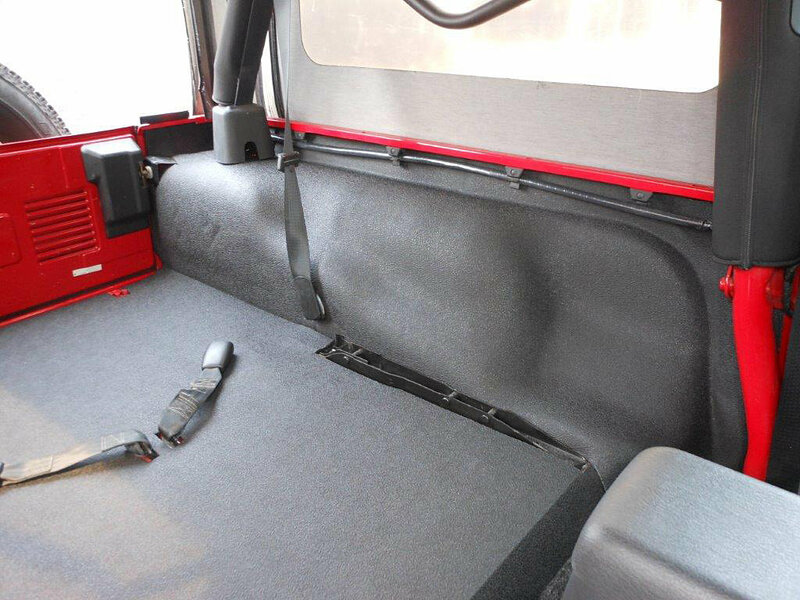 * The BedTred material is super resistant to stains, odors, mold and mildew and the 1/4" thick polypropylene foam insulates your interior from road noise and heat. 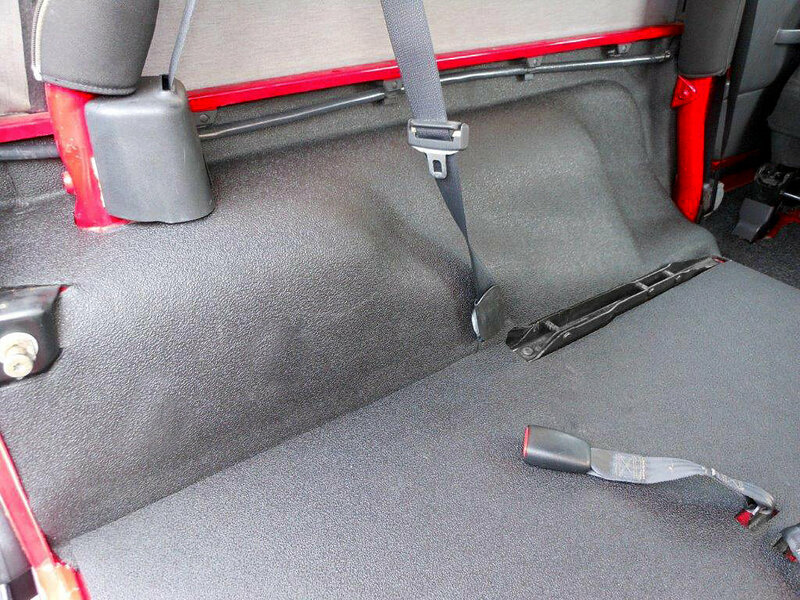 Driver area features a tough plastic heel pad that's stitched into place. 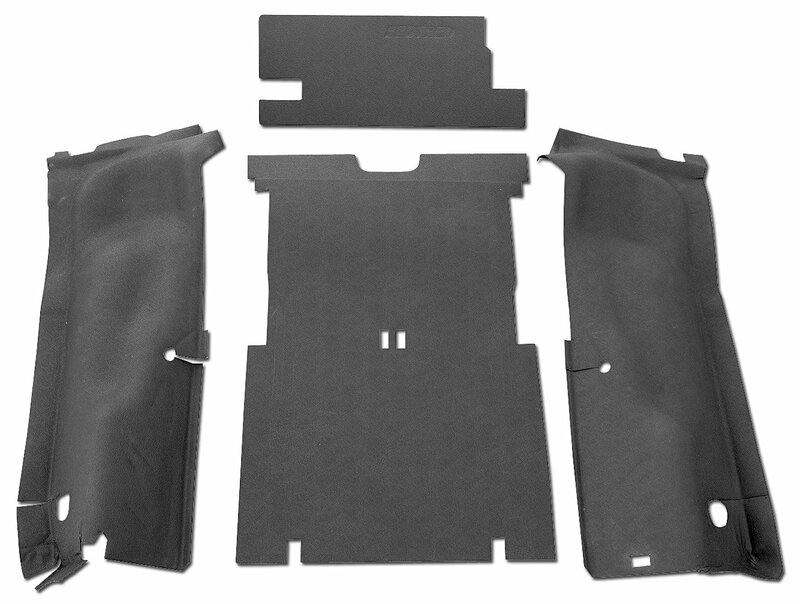 The scrub-able and skid resistant TPO composite surface features an aggressive textured black finish. Backed by a 30-day money back guarantee and a lifetime warranty. This was supposed to have the "cut outs". I can see maybe one missing due to different models, etc. It had almost none. Also, the whole "no need to remove the seats" is ridiculous. There were no cut outs for even the rear seat tracks. It took about 4hrs to install the just the rear, due to measuring, cutting, etc. It was supposed to be a slide right in molded liner with all cut outs. The quality of the liner is good. Just don't fall for the cut out part. My first bad purchase from this site. Usually if it says it fits, it always does. I guess "with cut outs" in the name, meant the only two it had. Not all of them (should have had closer to 12). None for the seats, seat belts, or anything but the back two squares for the tie down clips. I was pretty upset with the purchase, but I made it work. I also have a good amount of car repair knowledge and tools. (also had the whole day). If you don't, do NOT buy this one. Choose another. Love my bed rugs. Best money I've spent so far.